I originally did not have a photo for Edie in its pot. I got Edie as a sample from Aromaleigh (and a free sample at that - it came with one of my orders). I thought it looked a bit similar to <a href=”/such/obsessive/addictions/tkb_tradings_pink_pearl/”>TKB Trading's Pink Pearl</a>, so I decided to check…and, yes, an exact match. The primary differences are that TKB's is a straight mica; and Pink Pearl is (oddly enough) marked as not eye-safe - at least, in the US. 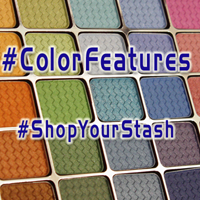 Aromaleigh v1's Eye Lusters collection has many lovely colors, some of which I have not found elsewhere. However, this particular color is a dead-on match for another mineral makeup color from another manufacturer. 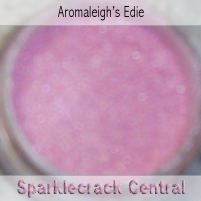 If you like this color sample from Aromaleigh and really want to get it…head over to TKB Trading and select Pink Pearl, where you can pay $4.00 and get one ounce.